With the end of the Cold War and the proliferation of civil wars and "regime changes," the question of nation building has acquired great practical and theoretical urgency. From Eastern Europe to East Timor, Afghanistan and recently Iraq, the United States and its allies have often been accused of shirking their nation-building responsibilities as their attention — and that of the media -- turned to yet another regional crisis. While much has been written about the growing influence of television and the Internet on modern warfare, little is known about the relationship between media and nation building. This book explores, for the first time, this relationship by means of a paradigmatic case of successful nation building: Malaysia. 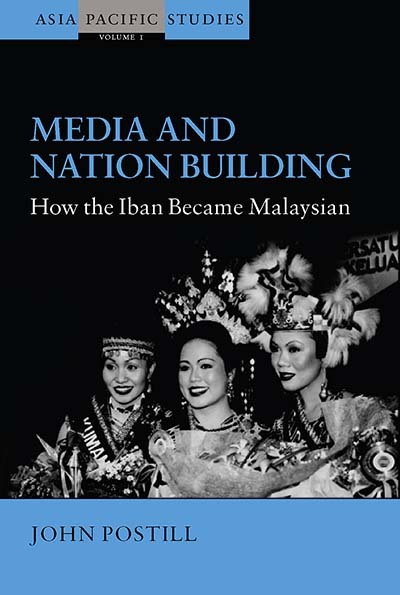 Based on extended fieldwork and historical research, the author follows the diffusion, adoption, and social uses of media among the Iban of Sarawak, in Malaysian Borneo and demonstrates the wide-ranging process of nation building that has accompanied the Iban adoption of radio, clocks, print media, and television. In less than four decades, Iban longhouses ('villages under one roof') have become media organizations shaped by the official ideology of Malaysia, a country hastily formed in 1963 by conjoining four disparate territories. John Postill is a Research Fellow at the University of Bremen. He is currently studying e-government and ethnicity in Malaysia. Trained as an anthropologist at University College London, he has published a range of articles on the anthropology of media, with special reference to Malaysian Borneo. Chapter 2. What Became of the Iban?